Disrupt the telecommunications industry with us. Join us to make a BIG impact as part of the disrupting force that’s changing telecommunications forever. We are a software company in a carrier world – changing the industry by providing what others cannot - a better user experience, better customer service, continual innovation, and most importantly – transparent pricing. TextNow is looking for a Manager, Android who loves mentoring and helping others develop into amazing engineers. This is an opportunity where you can stay technically hands on while also improving your leadership skills. The ideal candidate will have solid experience with developing scalable android applications and have success in leading a team of highly motivated, collaborative and intelligent group of developers. What is your TextNow username? We are a software company in a carrier world - changing the industry by providing what others cannot - a better user experience, better customer service, continual innovation, and most importantly – transparent pricing. We are looking for a Build and Release Engineer to join our team and help us in our mission to create the most exceptional, affordable phone service that changes the way people communicate. We’re looking for motivated Production Engineers (SRE) to own back-end services, front-end services, infrastructure components, and everything in between. You’ll also be working closely with software engineers to set up continuous delivery to ensure quick and smooth feature deployment. You will be responsible for maintaining and scaling production services and servers for complex and high throughput cloud services (AWS). You will improve scalability, service reliability, capacity, and performance. You will write automation code for provisioning and operating infrastructure at massive scale. Build tools for internal use to support software engineering best practices. You are not an operator, you’re an experienced software engineer focused on operations. You will work with development teams to make sure the applications fit nicely within the infrastructure and scalability/reliability/security is designed and implemented from the start. You will participate in on-call rotation, being responsible Text Now uptime and supporting the infrastructure. You will roll up the sleeves to troubleshoot incidents, formulate theories and test your hypothesis, and narrow down possibilities to find the root cause. Experience with automation/configuration management tools such as Puppet, Chef, Ansible, Salt, Fabric, Docker, etc. We are looking for a VOIP Engineer to join our team and help us in our mission to create the most exceptional, affordable phone service that changes the way people communicate. We are looking for a highly self-motivated, goal-oriented individual who will be responsible for providing world-class technical support for our customers in a fast-paced environment. The ideal candidate for this position will possess a strong technical background with experience in Voice over IP (SIP) and supporting cloud contact center or office telephony services and solutions. We are growing at a rapid rate thus there is plenty of scope for your role to quickly grow to include the design and implementation of contact center solutions and to project manage new customer roll outs. Triage, troubleshoot, escalate, and/or provide resolution to customer support tickets. Reproduce, document and escalate product defects to the Engineering Team. Effectively communicate customer feedback and feature requirements to Engineering and Product Management. Identify commonly asked questions and generate knowledge base articles, FAQs, and videos based on this content. Enhance existing product documentation and create new feature documentation based on technical specifications and reviews provided by Engineering. 2-3+ years’ experience in implementing and supporting contact center or office telephony solutions including IVR, ACD, PBX, etc. Experience in networks (IP and Telco), data, access, firewalls, NAT, QoS. Experience in using network tools such as ping, trace route and wireshark. Proven ability to remotely troubleshoot and resolve customer software and operating system problems. Analytical thinking and problem-solving skills as a fast learner with a lot of intellectual curiosity. We are looking for well-rounded iOS developers to join our development team and help us in our mission of building a product that disrupts the wireless industry. You will play a pivotal role on our team, from building beautiful user interfaces to improving the performance and stability of our app to ensuring that every phone call for each and every customer is crystal clear. Most importantly, the work you do every day will impact and change the way people communicate on a day-to-day basis. We have HQs in San Francisco and Waterloo and hubs in Seattle, Portland and New York City. TextNow is looking for a smart, motivated Senior Backend Engineer with a specialty in voice calling, who is eager to learn and is passionate about contributing to our mission. 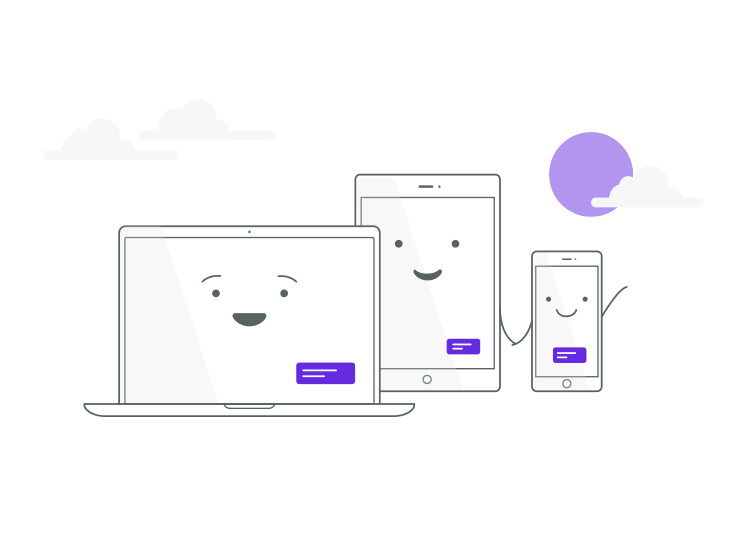 TextNow's backend team uses cutting edge technologies like cloud computing, Golang, micro-services via gRPC, high performing databases, streaming and queueing. We manage hundreds of millions of user interactions and terabytes of raw data in real-time. We are extending the capabilities of our in-house platform to streamline calling experience into a wholistic and refined user experience. As a senior backend engineer, you will gain real world experience in building scalable and high performing systems and in creating an industry leading solution for affordable telecommunications. TextNow is looking for a smart, motivated Senior Backend Engineer who is eager to learn, and is passionate about contributing. As an experienced (Senior) Data Platform Engineer at TextNow, you will own the design, development and maintenance of TextNow’s data warehouse that will enable us to make effective data-informed decisions across various business disciplines. You will lead initiatives to formalize data governance and management practices, rationalize our information lifecycle and key company metrics, mapping the metrics to TextNow’s data warehouse and the various data sources feeding into it. In this role, you will have the opportunity to interact with different functional areas within the business and influence decision-making in a fast-growing mobile communications startup. This is a flat company in which you will take on a solid amount of ownership over your work. Own TextNow’s data warehouse, pipeline, and integration points between various business systems. Develop tools to monitor, debug, and analyze data pipelines to ensure data quality and reliability. Troubleshoot data issues and build customized reports to investigate key business questions. Explore available technologies and design solutions to continuously improve our data quality, workflow reliability, and scalability. Perform capacity planning and cost estimates of proposed solutions. Design, architect and support new and existing data and ETL pipelines and recommend improvements and modifications. Guide and influence architectural direction. Be a champion of TextNow’s data ecosystem by working with engineering and infrastructure to guide data strategy for governance, security, privacy, quality and retention that will satisfy business policies and requirements. Communicate strategies and processes around data modeling and architecture to multi-functional groups and senior level management. Identify, design, and implement internal process improvements. Establish best practices and standards for data definitions. Publish and maintain a data dictionary. Manage data infrastructure to grow and support the Data Science team in relation to the construction of performant ML-based data products. Partner with business domain experts, data science, product managers and engineering teams to build foundational data sets that are trusted, well understood, aligned with business strategy and enable self-service analytics. 5+ years of experience designing data warehouse/data lake and ETL architectures, preferably at companies with fast-growing and evolving data needs. 5+ years of experience with RDBMS. Expert in SQL. BS/MS/PhD in Computer Science, Engineering or related quantitative fields. Hands-on experience with AWS and services like EC2, SQS, SNS, RDS, Cache etc. Fluent in at least two of the following programming languages: Scala, Python, Java. Understanding of how different data storage engines work and what are the limitations (SQL, NoSQL, key-value stores). Deep familiarity with schemas, metadata catalogs etc. Experience in initiating and driving projects to completion with minimal guidance. Highly organized, structured work approach and dependable. Expected ability to manage and communicate data warehouse plans to internal partners. Expert debugging skills and emphasis on automated tests to build high quality systems. Strong experience in improving performance of queries and data jobs and scaling the system for exponential growth in data. Knowledge of big data technologies such as Hadoop, Spark (including pyspark), Spark streaming, Kafka, Hive, Storm, Sqoop, Hbase and HDFS is a plus. Knowledge of ad serving platforms and online advertising systems is a plus. Experience with automation/configuration management tools such as Puppet, Chef, Ansible, Salt, Fabric, Docker, etc is a plus. TextNow is looking for a Senior Product Manager to direct product development, ensure we build great products, and drive financial results. You will translate ideas into strategy and features, and guide product development from start to finish. To succeed in this role, you should be a perceptive and creative leader as well as a reliable problem-solver. If you are confident and have a knack for knowing what ideas will and won’t work, we would like to meet you. Familiarity with Agile framework – we ship daily! We are looking for a VP of Product to join our team and help us in our mission to create the most exceptional phone service that changes the way people communicate. Reporting to the CEO, you will play a pivotal role on our senior leadership team, responsible for Product. You will work cross functionally to create, drive and execute our product strategy. You will be empowered to develop and execute our product management function and you will be accountable for mentoring and coaching a small team. Maintain documents to track quarterly objectives and work with the VP of Monetization to generate new initiatives to meet/exceed revenue goals on a regular basis. We are looking for a Director of Product Design to join our team and help us in our mission to create the most exceptional phone service that changes the way people communicate. Reporting to the CEO, you will play a pivotal role on our leadership team, responsible for Design. will have real reach and impact – no make-work projects allowed! Can’t find a TextNow posting on your school’s job board?